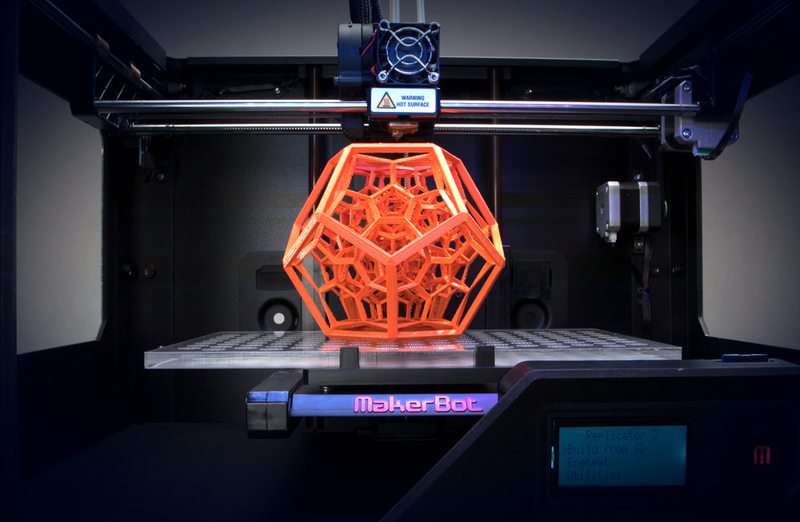 How can 3D printing really emerge as a trend? This time of the year we usually see many efforts to predict the future, to discover “what is next”. It is probably way older than that (as you can see in Paleo Future), but I believe Faith Popcorn’s Brain Reserve with the Cocooning in the 90’s got “trend hunting” on the hot spot and it is still there. Everyone wants to own the future by predicting what is next, but nobody wants to be the one to bet on something that will not come up great in a few months / years in order to keep their credibility. Therefore, we have many forecasters, designers, researchers and trend hunters predicting the predictable, coming up with obvious visions of a future very likely to occur, making these trends just common sense for those a little bit more informed. The usual term for this is “3D printer”. Well. We have paper printers, why not 3D ones? Quite reasonable. The thing is that we are not going to have an awesome 3D printer at home for the same reason we have no cutting-edge Xerox machine on our desks. You sure do some printing, but when it comes to serious business you look for a bureau, mostly to have someone experienced editing and printing something with quality. Have you tried to make a 3D model? It is not just software, you have to THINK in 3D, understand measurements (specially if you want to assemble it to something else). In the end, it is way harder to learn how to deal 3D objects than it is to type in a text. The day might come, but still far away. It is still seen as a gadget, a toy, a garage ornament, but not a useful piece of technology in the daily life. Demand for personalized printed 3D objects MINUS proper skills or stronger need to have it a home EQUALS a 3D printing as a local service. Firstly, we have to consider how complicated it is to deal with physical objects. As you know, with few colors you can make all of them. Since we still cannot rearrange atoms and molecules to make a different materials from scratch, and that by default a printed object will be smaller than the printer itself, we probably need a printer big enough and space to stock raw materials (several types of plastic, for example). People will need a person to help them deal with the technology = we need something like a Product Design Clerk. A product designer + a clerk ladies and gents. Someone to link the ideas in your head to the real world, and with enough technical skill to preview and “print” the outcome. With everything been manufactured Asia nowadays, I think there are some designers out there to take the position. How it might look like? When we talk about products that are easy to visualize or evaluate just based on specs (e.g. smart phones) it is easier to do everything online. It could sound weird, but I believe this business shall work as a store providing service. A place where you can walk in and ask for something. As an experience, if I may. You could take your memory stick there or send a 3D file by email, have a look in their portfolio of printable objects or have just some sketches of what you want to be designed, then our product design clerk can take care of the rest (charging you for it, of course). After a while you can pick it up when it is ready, or ask to be delivered. As simple as that. It is also possible that the big printer and the branch does not share the same space. Having small branches with designer attendants around busy areas (city centers / shopping malls) and a print facility somewhere else with more space and lower rent. Who can do it? If we are talking about starting big, we can obviously consider Amazon because of the expertise in technology and online commerce. Zappos could also be a good bet with their high-standards service culture. Personally, I believe it will come from the bottom and maybe it is out there already, an evolution of projects like MetaMaquina or Form1 and then spread as a franchise by tech-business savvy geeks – a lot of unemployed recent grads to fit the profile. Barriers: There is a looong discussions on legal treats, Form1 itself got KickStarter on the spot but I am not going to wright further about it. What I can say is that the first company to succeed in this field will present a smart way to work around this matters, maybe like Apple did with iTunes, maybe going to “creative commons” options, but for sure not just ignoring it. Beyond that, there is a whole lot of brand and offer problems. How assure the printed object will last? Does it have to last? Is it recyclable? Can I just give my product back so it can be re-molded? If not, why not?